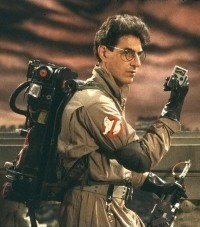 The Radiacmeter IM-179 Gamma Rate Meter was used by Egon, both during the hotel scene when he "scans" the old man and the battle with Gozer. There are a few variations of the IM-179, however, the correct model used is the one manufactured Jordan Electronics of Alhambra California. It is believed that the prop masters added a belt clip to the meter so it could be added to the belt without a holster. "The IM-179/PD was 'a miniature gamma ratemeter for placement in aircrew survival kits' that employed a pressurized ion chamber. It only used two push button controls: read and test. 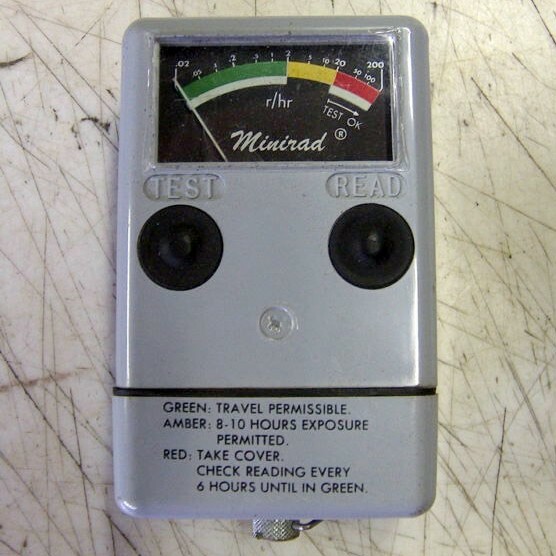 The meter and dial are luminescent (Ra-226 radioluminescent paint) . The instructions on the case are self-explanatory." IM-179 was manufactured by the following companies: Victoreen Instrument Company, Nuclear Corporation of America, Jordan Electronics, Heat Pipe Corporation of America.